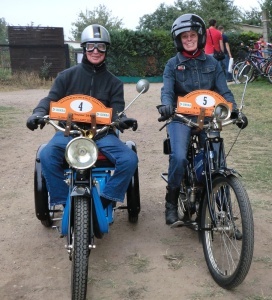 Welcome to the Dutch Oldtimerwebsite of father Henk and his daughter Grietje. On this website you can find our motorbikes and our motorbikes we used to own. Also you can find information about Villiers engines, Bosch en Miller lighting en Magnetos in general. Further we don’t want to withhold our experiences and we are referring to some links of oldtimer clubs and other interesting websites. Wenn you have something to ask or to remarke you can contact us via the “contact” button. Have fun browsing the website.